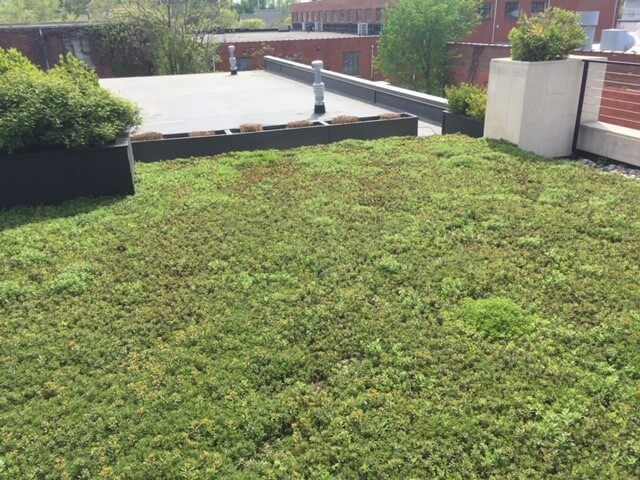 Evergreen Environmentals specializes in residential and commercial green roof systems. 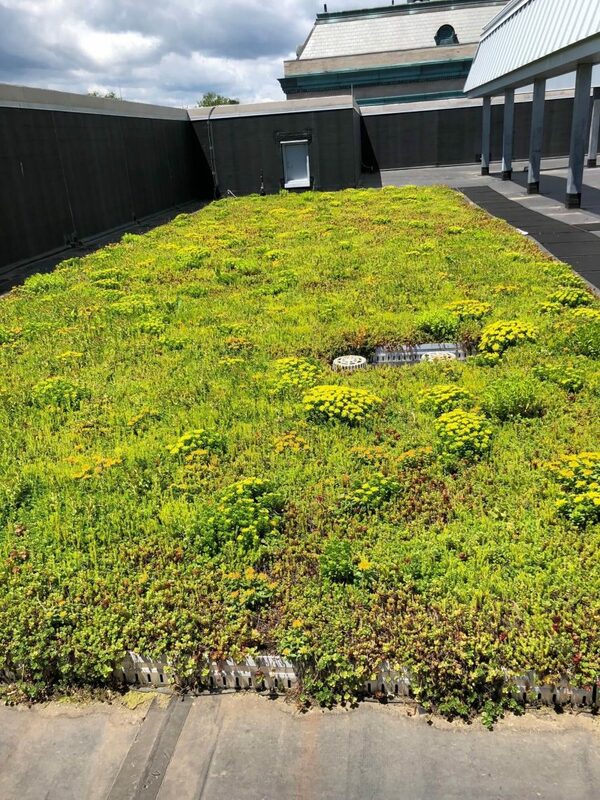 Also known as a eco-roof, vegetated roof, or a living roofs, a green roof is an engineered, lightweight roofing system that supports plants and vegetation. 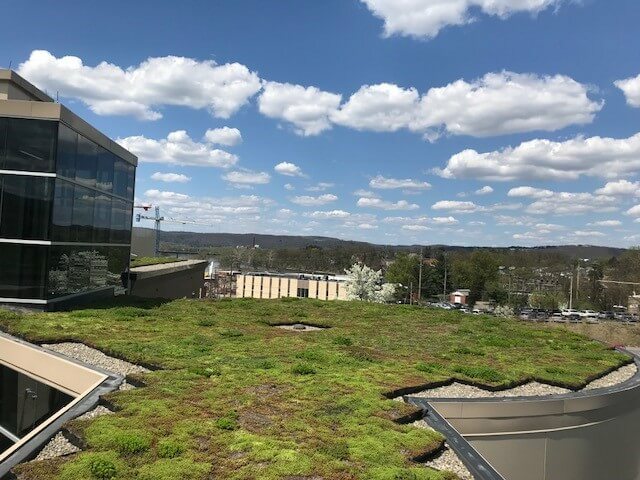 From design and consultation, installation, and maintenance, our green roofing service can provide your home or business with a eco-friendly roofing system. 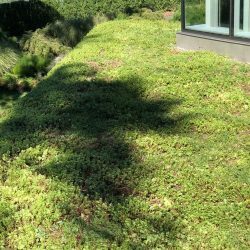 Evergreen Environments has installed over a million square feet of living roofs in the past 10 years alone. 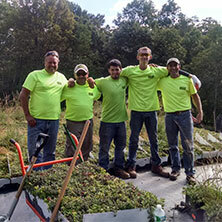 We are the most experienced green roof installer in the northeast. We have knowledge of all systems from every major manufacturer, Our years of hands-on knowledge gives us a unique perspective on what works and what doesn’t. 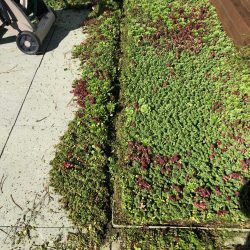 What is the best system for your project? What is the most cost-effective solution? What kind of maintenance protocol should you plan for? 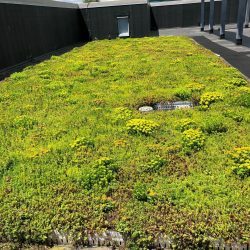 How much will your green roof project cost? Answering these questions in advance makes for a more efficient project and avoids any surprises down the road. We work quickly. 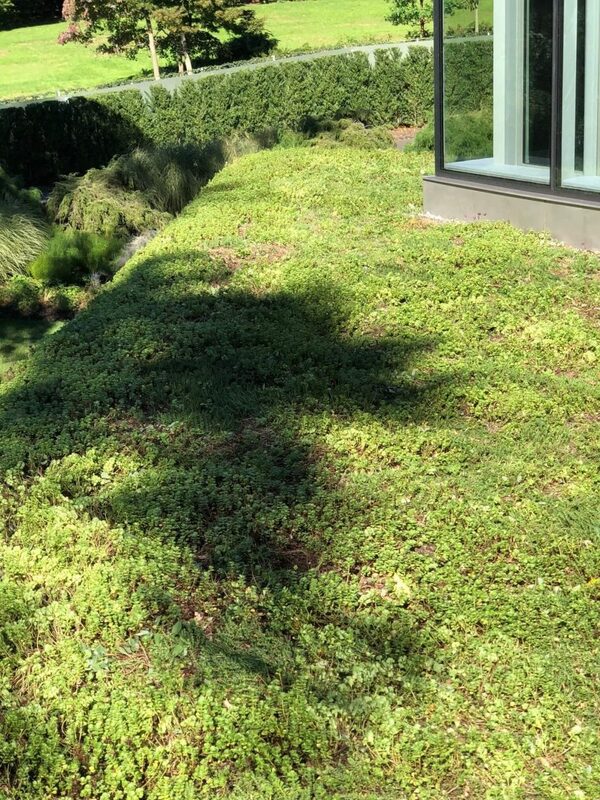 You will have a firm quote for your green roof project within a few days. 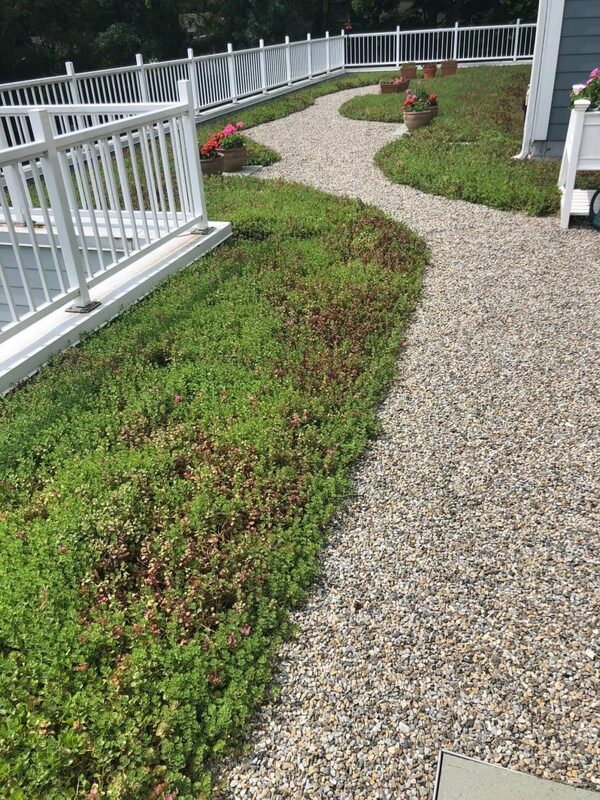 Evergreen Environments has installed hundreds of living roof projects of all sizes. 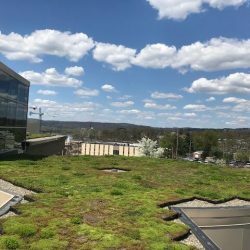 This extensive list of successful projects ensures that your green roof will be installed properly and according to spec. 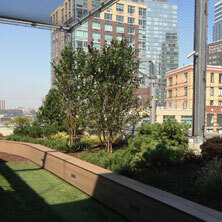 We have hands-on experience with green roof systems from all the major manufacturers. Whatever system you plan on using, it is more than likely that we have installed it before. All roofs are fully inspected and tested before work begins. This ensures that there is no leak present before we begin the installation. This also places full responsibility for any leaks beyond this point on us. 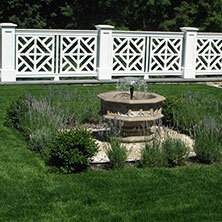 Great pains are taken to make sure that the areas we work on are protected. Rigorous safety standards are in effect to make sure our workers and anyone working near us are protected. Our estimates cover all aspects of the installation. 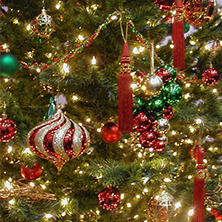 Materials, labor, freight, hoisting… it’s all included. There will be no surprises down the road. Installations are fast-paced. 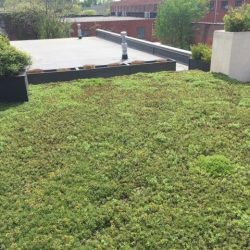 Most roofs take only a matter of days to install, although some of the more complex projects can take months. Our goal on every project is for a 0 PUNCHLIST INSTALLATION. 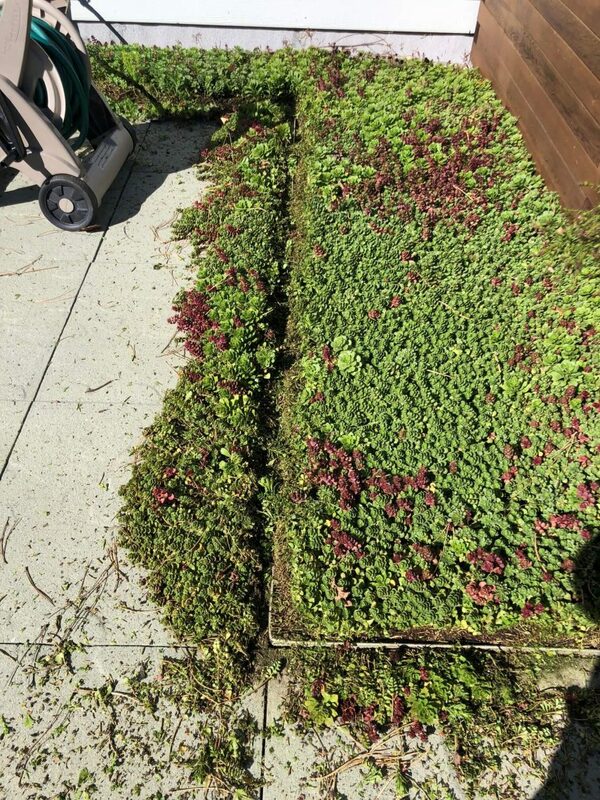 We pride ourselves on getting it right the first time. 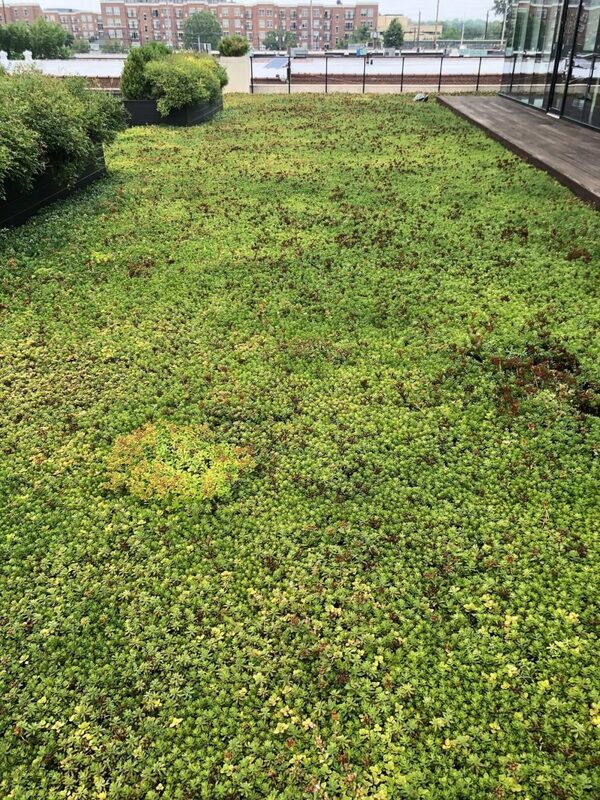 Sometimes we run across green roofs that have not been properly maintained or that have been damaged by construction. 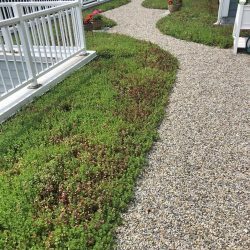 Repairing a green roof does not have to break the bank. 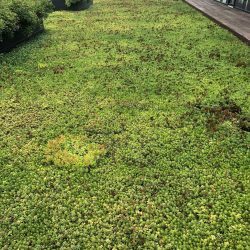 Evergreen Environments has come up with a set of best practices for repairing damaged green roofs and restoring them back to spec. These restorations range from “instant gratification” full repairs to longer term, lower cost solutions. 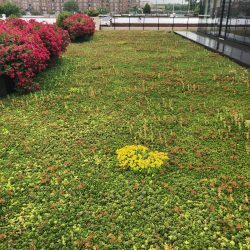 When combined with a quality living roof maintenance regimen, we will have your green roof back in shape and restored to its full glory. 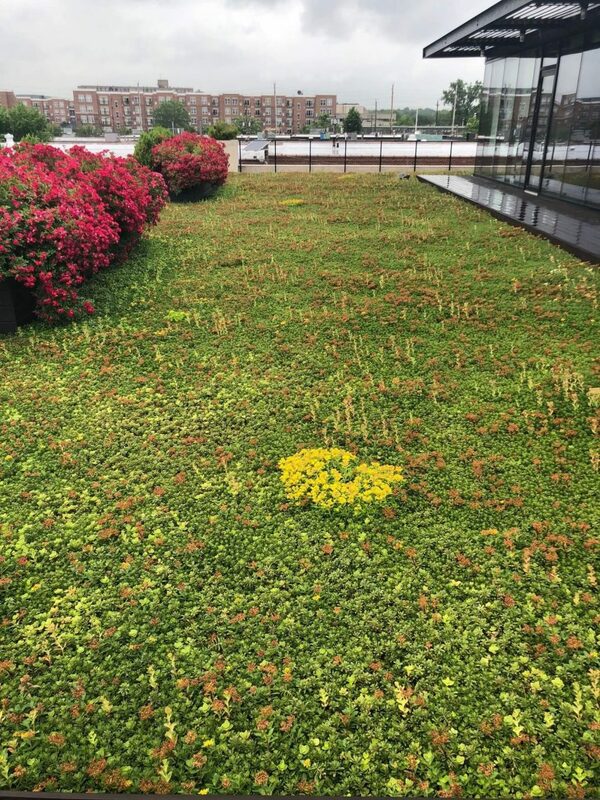 Renew your green roof with us! 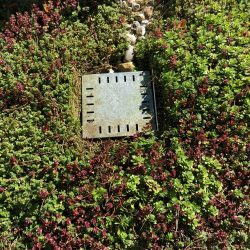 While vegetated roofs tend to have fewer leaks and problems than uncovered roofs, occasionally a problem may occur or a leak may happen. 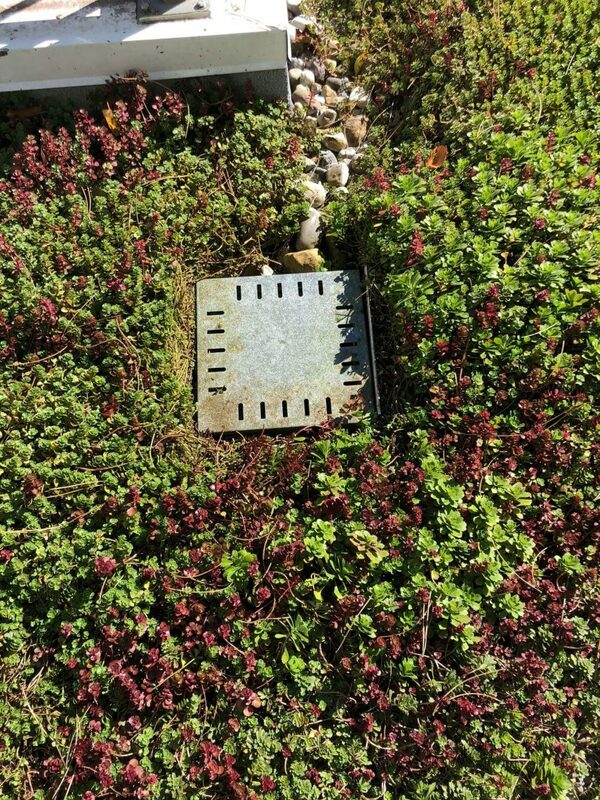 Evergreen works closely with Electric Field Vector Mapping (EFVM )leak detection services, both before and after installation. 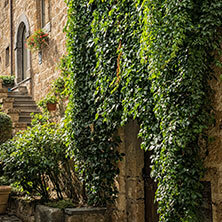 Evergreen Environments will assist in the location of the problem. 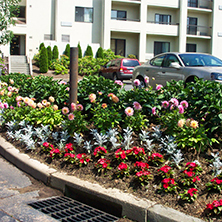 We will remove and replace the overburden and restore any disturbed plantings, all with minimal disturbance of the adjacent areas.